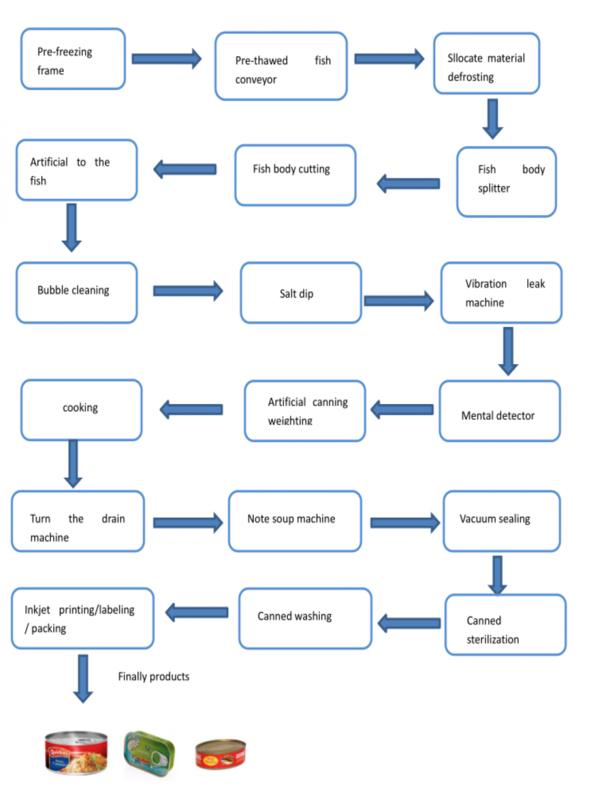 Canned fish production line. 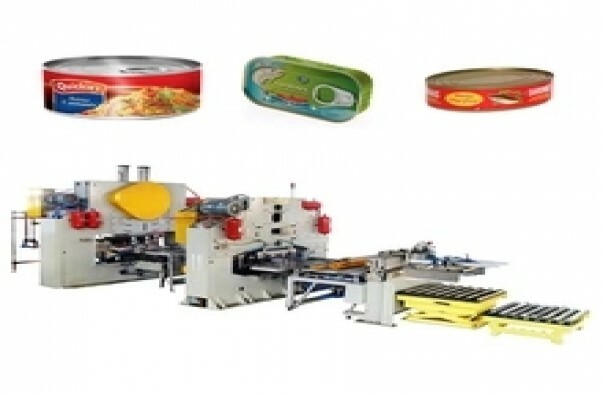 Canned fish production line, including the raw material channel, to the ice cleaning machine, waste belt conveyor, to the head and tail to visceral conveyor, secondary cleaning tank, to the miscellaneous machines, salt water to promote the elevator, the material feeding table, filling capacity Conveyor, exhaust box, sub-tank chain conveyor, a single tank of water machine, tank plus soup machine, tank capping machine, tank inspection chute, tank cans washing machine, then tank platform, hydraulic lifting cage machine , Horizontal sterilization pots, horizontal lifting cages, disc conveyors, drying machines, linked chain conveyor, pick chain conveyor, automatic hydraulic hoist, labeling machine, Da Maji, The tank filling machine is connected with an empty washer, a disk conveyor, an empty tank unloading machine, a ketchup deployment tank, a brine preparation tank, and an ingredient room to be connected with the control room. The benefits of the invention: fully automated, improve efficiency and norms.